First and foremost, we are here to serve. The professional fire fighters and paramedics who serve Carroll County, MD see the communities where we work as our own. Our Local Union is dedicated to providing the highest level services to the citizens and visitors of the County. ​County and participate in that process. We look to play an active role in advocation, education, and the future of emergency services in our area. We do not intend on pursuing collective bargaining at this time, but look forward to utilizing the greater resources provided to us by the IAFF to benefit Carroll County and its Fire/Rescue system. Local 5184 is motivated to build a positive relationship with our County Commissioners, State Representatives, and local political leaders. With these open lines of communication, in conjunction with the dialogue and working relationship we hope to build with Carroll County Volunteer Emergency Services, L-5184 intends to see the advancement of safety, services, and resources in Carroll County, MD. Maryland is a strong environment for Emergency Services which is a direct benefit to her residents and visitors. 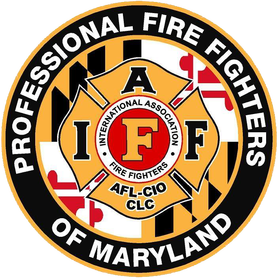 With some of the country's largest departments, Maryland fire, rescue and EMS services benefit from the progressive influence of national leaders. The IAFF Locals already established in all of our surrounding neighbors have lead the way for Carroll County to share in that high standard of service to our communities. Like our Brothers and Sisters preceding us in neighboring Locals, Local 5184 has its roots in humble beginnings. Commonly, Local 1664, the Montgomery County Career Fire Fighters Association saw its start with the employees of the individual volunteer corporations coming together ahead of a county fire/rescue system just as Carroll County exists now. This allowed Local 1664 the foresight and opportunity to build positive relationships and actively play a part in the future of the Montgomery County Fire & Rescue Service. ​Decades later, Local 5184 emulates the example set forth by its IAFF family, and as other affiliates like Local 1664, will build relationships in a proactive manner, establishing a positive and active voice. We take pride in our affiliation with the well established IAFF family around us and hope that with their collaboration, we can continue to raise standards and improve the fire/rescue system. Please reach out to us if you would like to learn more about us. We look forward to building a relationship with the community that we serve. ​Go to our Contact Page to let us know how we can help you.